Want a standing desk but aren’t ready to shell out thousands of bucks for one? Do the next best thing: get a wall desk ($265). 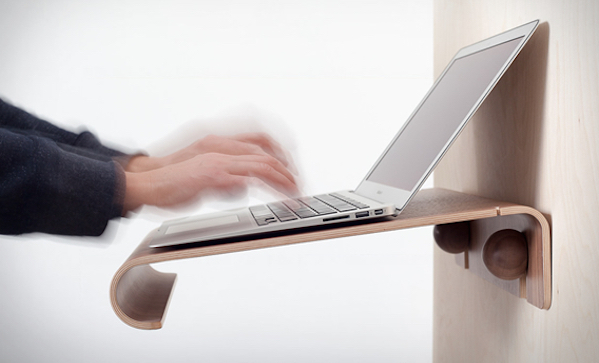 Basically, it’s a moulded wood desk you can hook on to your wall, remove and use as a MacBook stand, and then hook back to the wall. It’s as versatile as your actual MacBook, is what we’re saying. It comes in walnut or oak, and the wood is from PEFC certified woodland. Good for your health, good for nature—what can’t Nordic designers do?